I recently shared these awesome framed hearts from Sarah & Bendrix. Since there wasn't time for me to order one before Valentines Day, I decided to make one of my own to give to my hubby. I didn't go back and look at theirs, I just loosely had the image in my mind and made my own version of it. If you want details on how I did it, keep reading. 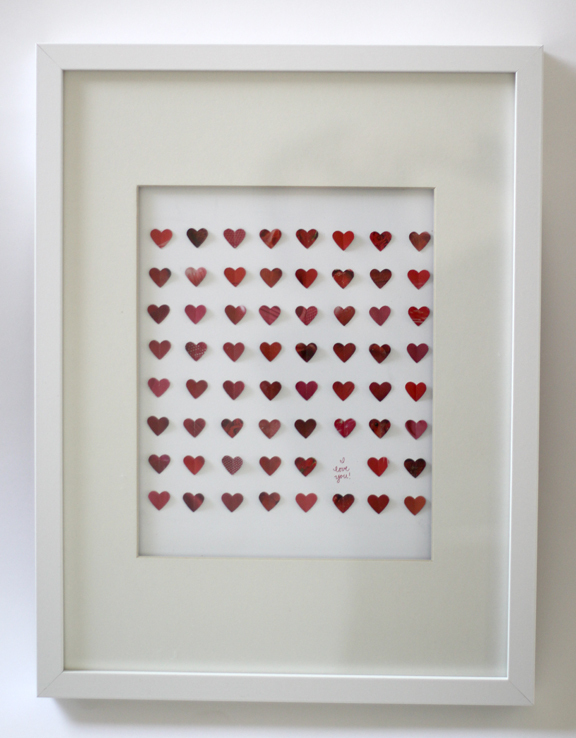 I used a frame from IKEA and used some strips of corrugated cardboard under the mat to give it enough room for the dimension needed by the folded paper hearts. A simpler solution would be to just buy a shadow box frame, but apparently I can't do anything the easy way. I gridded out my paper into equal size squares (and apparently I can't count, I should have had another row or two!) Then I cut out anything red from my magazines (strawberries, bike jerseys, shoes, swimsuits, etc.) and used spray glue to back them on another sheet of paper for more sturdiness. I used my mini heart punch to punch out the hearts, and scored each of them down the center. I folded them to give dimension. 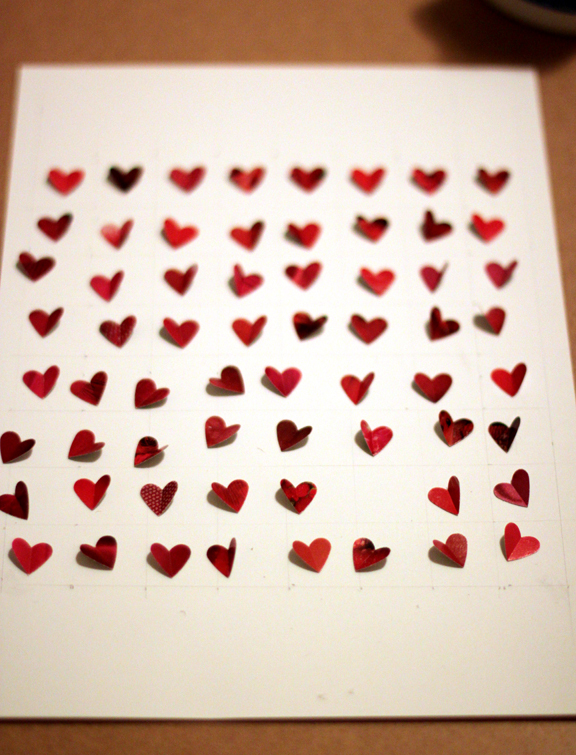 I put a dot of plain old Elmer's glue in the center of each of my grid squares and carefully placed each heart using needle-nose pliers and an Exacto knife. I felt like an entomologist (bug scientist). Let dry and erase grid lines. 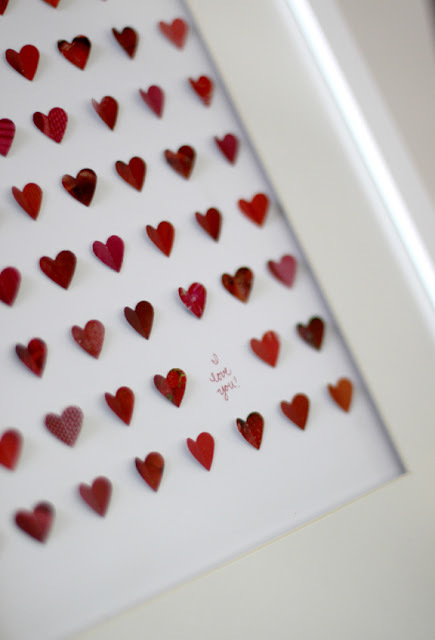 Then I wrote in my love note and put in in the frame. Total time commitment: about 2 hours. And he loved it.